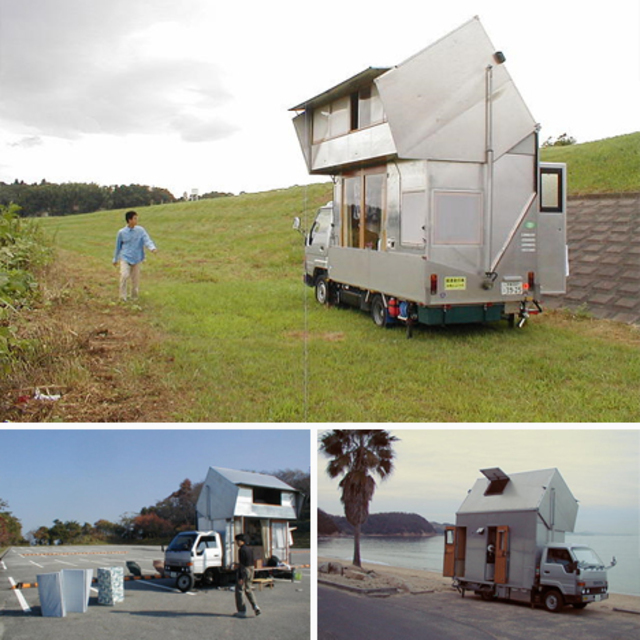 What could be cooler than designing and building your own customized motor home from scratch? 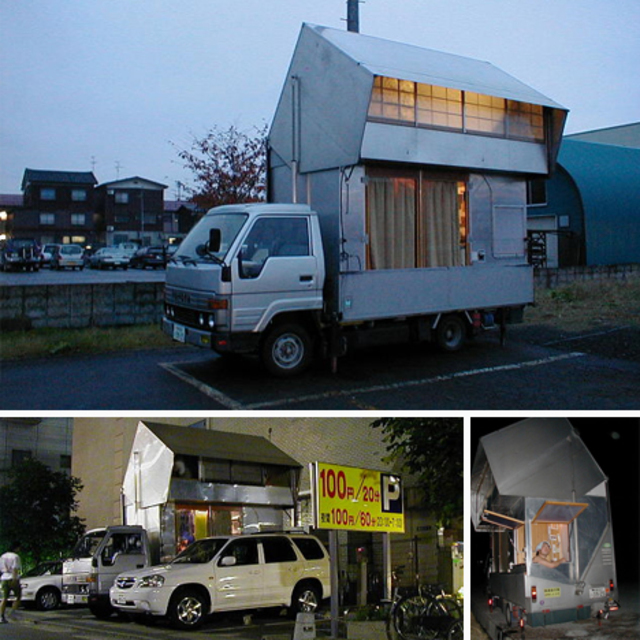 How about this: add not only every standard camper car amenity but also include a hydraulic lift system to give yourself a second-story Japanese-style zen loft space complete with rice paper windows and tatami mats. 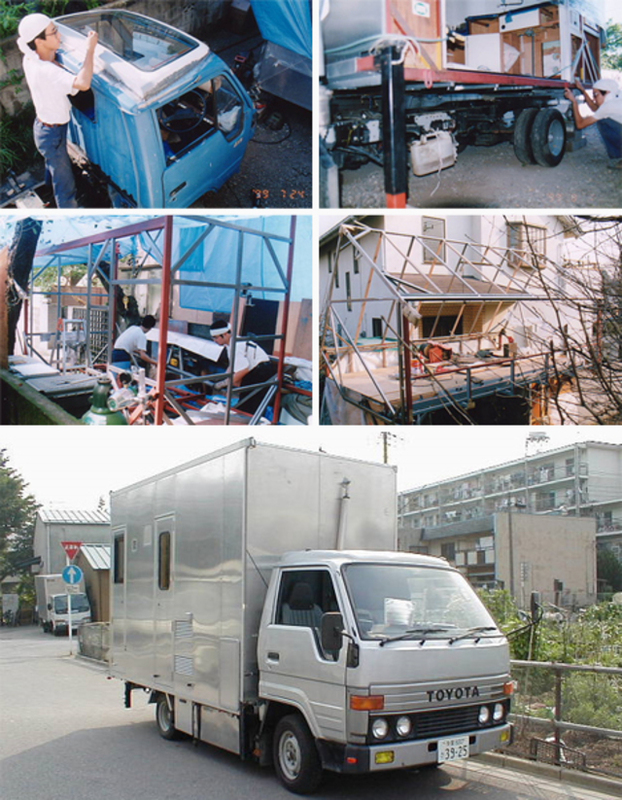 This industrious crew of friends converted an old truck into a contemporary and fully-equipped mobile home and even documented the process to prove it (and illustrate it for those who might want to follow their example). Metal construction makes the entire load more light-weight and manageable. 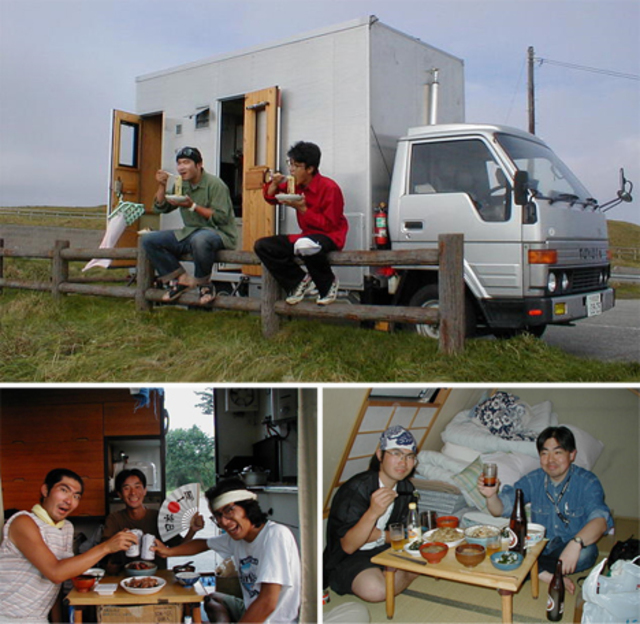 Since completely their DIY camper project, they have taken their creation on the road and traveled through much of Japan, stopping in camping sites and parking spots wherever they found them along the way. Suddenly, due to the transforming element of the design, normal highway height restrictions are no longer obstacles. Inside, everything on the first floor of this custom mobile house has a thrown-together look – a kitchen, living area and utilities built for saving space and increasing functionality. On the second floor, however, it is a different story – function gives way to feng shui and spatial relationships, simple decorative touches, warm materials and soft lighting take over. Best of all, it is clear that the creators of this crazy modern moving house have taken the time to enjoy the fruits of their labors, tripping around the country but also pausing to gather, communicate and celebrate along the way. It might be kind of weird looking, but its functionality is pretty awesome, and it’s certainly one of a kind. 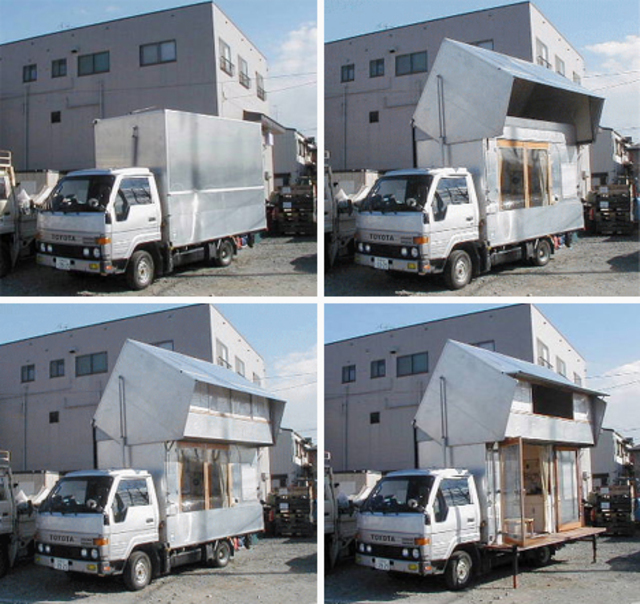 Do you have the skills to build a wild DIY convertible camper like this?